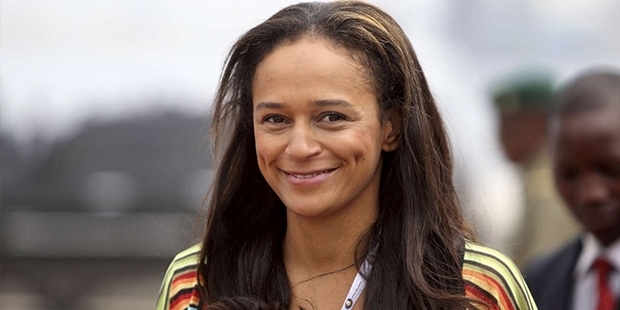 42 years old Isabel Dos Santos is the daughter of Jose Eduardo Dos Santos, the president of Angola since 1979. Being involved in investments, Forbes stated her as one of the richest and most powerful women in Africa. Net worth reaching more than US $ 3.5 billion, Isabel has become the first female billionaire of the country. Isabel was an engineering student at the King’s College, London, and after graduation, she opened a restaurant called Miami Beach at the age of 24. It was one of the first beach restaurants and night clubs in Luanda Island. This was just a beginning, and Isabel had moved so fast since then. 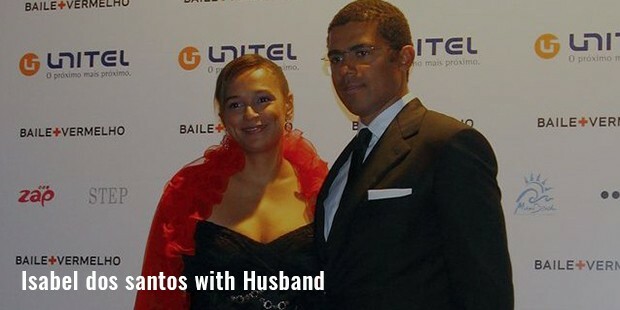 At present, she is the board member of a number of companies in Portugal and Angola, and owns huge stakes in affluent businesses, which include a cable TV service provider and also a bank. 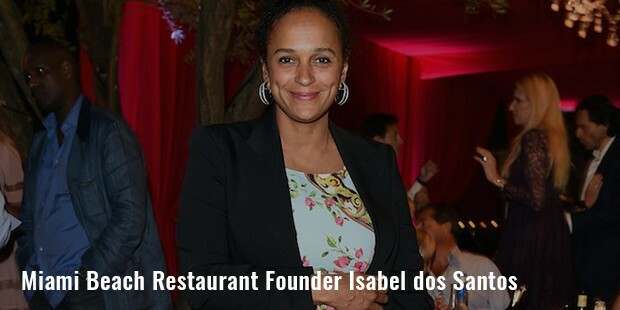 Isabel owns 19.5% share in Banco BPI, one of the biggest banks in Portugal with an estimated worth of $465 million. She also owns 25% stake in Banco BIC, with value of more than $160 million. Earlier, she had 4.9% share in ZON Multimedia, the biggest cable TV service provider in Portugal. But recently, she increased her share to 28.8%. These stakes alone bring her net worth to over $1 billion, and there are many more. Other than this, Isabel also owns 25% share in Unitel, one of the biggest mobile phone networks in the country, which alone makes a billion of her net worth. Her wedding was a multi-million affair in itself. According to reports, more than $4 million was spent on the ceremony, which included a special choir that was invited from Belgium, and a couple of planes chartered from France to bring eateries. More than 800 guests attended the wedding which included relatives, friends, and a number of African presidents too. Earlier in her career, Isabel had also worked for a recycling company from Germany, and then moved forward to start a truck business. After the development of walkie-talkie, she was interested in the field of telecommunications. She had also worked for Urbana 2000 as an engineer project manager. With expanding interests in business, she created several holdings over time, and made significant investments in large enterprises. Her current holdings include Unitel, Santoro Finance, Condis, Esperanza and many others. Publico, a Portuguese newspaper, described Isabel in 2007 as ‘good businesswoman, very dynamic and intelligent, who’s also professional and friendly’. 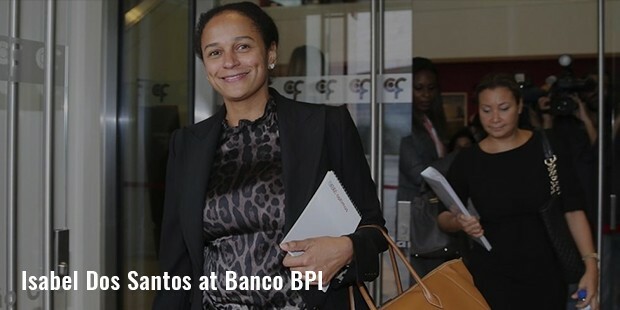 Financial Times, a British newspaper also wrote about her in 2013, that ‘even some critics acknowledge Isabel dos Santos’s independent prowess as a businesswoman’. At present, Isabel also serves as the president of the Angola Red Cross. 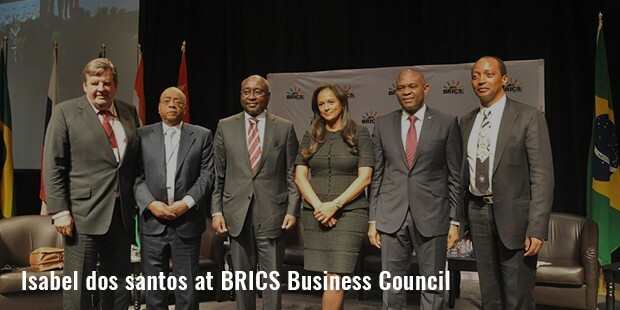 With impressive stakes in several companies, she has acquired her wealth, and has become one of the richest people not only in Africa, but also across the world. Isabel’s astonishing business skills undoubtedly make her one of the most successful personalities of the 21st century.